Metal garage doors from 31-W Insulation are a wonderful replacement option for doors that have become difficult to operate and an eye-sore. Greenville, South Carolina, area homeowners love the Armarr® doors that we carry because they’re fabricated from a durable steel that makes them long-lasting and easy to maintain. 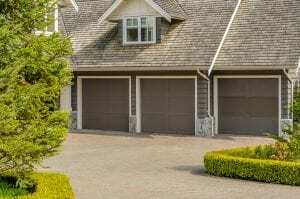 With these doors, homeowners won’t have to worry that their new garage door will succumb to the fate of their old one. Plus, these doors come standard with a high wind-load design, and so you can trust them to withstand Mother Nature’s powerful forces. A free in-home consultation – Our friendly associates will come to your home and assist you with selecting which door styles, beautiful colors and woodgrain finishes, window panel shapes and sizes, and eye-catching decorative hardware choices will best help you achieve your architectural and aesthetic goals. Professional installation – We’ll send only factory-trained technicians to complete the installation of your garage door, and they will adhere to our high standards of craftsmanship to ensure a job well done. Fantastic warranty coverage – Your garage door will come backed by an impressive manufacturer’s warranty, so you can have peace of mind that your investment in your home is protected. To schedule your free in-home consultation and learn more about the metal garage doors we offer to homeowners throughout the Greenville, SC, area, contact 31-W Insulation today.